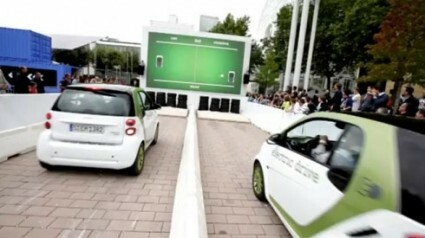 Brilliant technological innovation to show the great acceleration of the new electric Smart Car over a short distance. They had car enthusiasts and potential car buyers play a classic game of Pong on a giant screen using the cars themselves as the remotes. Click below to see exactly what they did.